Summer is finally here- woohoo!!!! I have finished school, I do not have to be up before the crack of dawn and I have no real obligations for about two months. What could be better than that? Jamie and I kicked off the summer by going for a boat ride, it was almost dusk and absolutely beautiful. Our friend Mickey purchased a boat yesterday so we were able to share in the first time boat owners joy by taking a ride, wind in our hair and all that jazz. 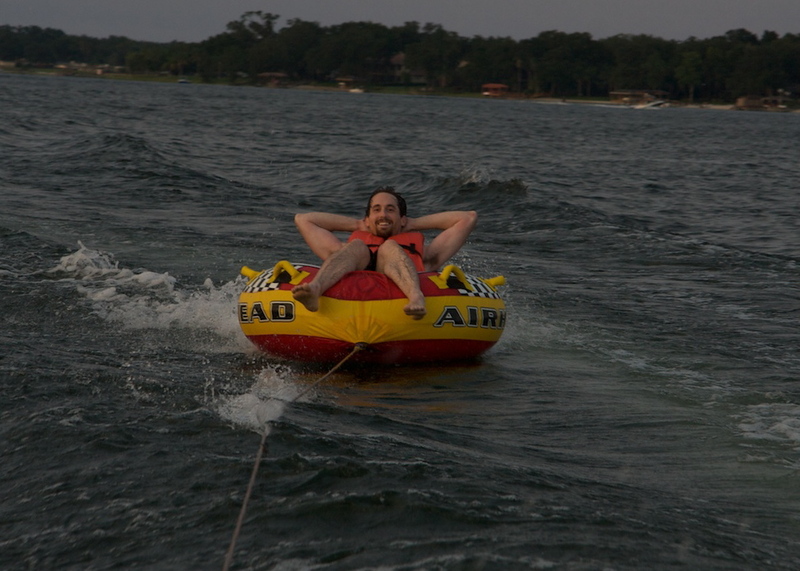 Jamie rode the tube and we just plain enjoyed the evening. There could have been no better way to kick off the summer. It was a blast!! I enjoy having such great friends to spend my time with.